The year 2016 has been, well, interesting – to put it mildly. But no matter which end of the “interesting” spectrum you are standing on – the good or the bad one – you can always turn to the movies to close the year on a happy note. So, here are some of the movie releases in this festive season that might help to put a big smile on your face. 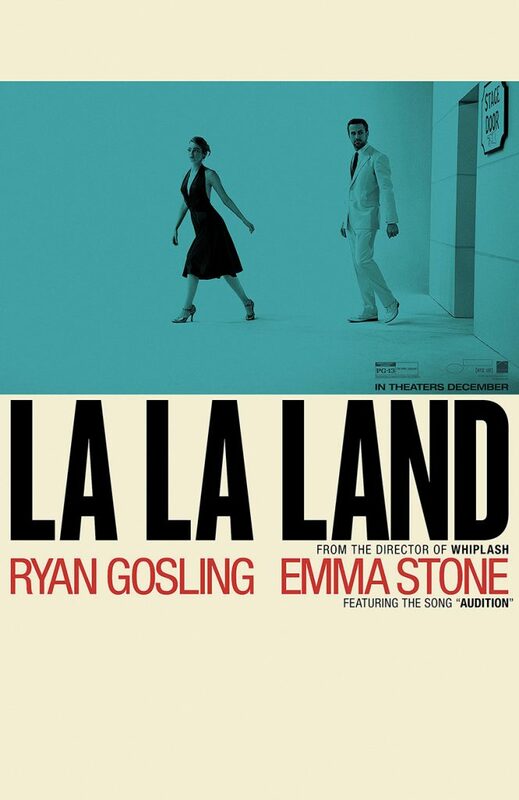 La La Land Mia (Emma Stone) is an aspiring actress. Sebastian (Ryan Gosling) is a struggling jazz musician. They are drawn together by their passion to pursue what they love in modern-day Los Angeles. But as they climb up the ladder of success, they are faced with decisions that might threaten their already fragile love affair. Festive Factor: “They don’t make films like this anymore,” said one critic in a review of the film. Now this critic might just mean that literally, as this is the first Hollywood live-action musical in a long time that features all original songs and music. Or he might be referring to another novelty factor: a story set in modern day, with all its irony and jaded characters, but done in old-school musical grandeur and romanticism reminiscent of the golden age of Hollywood – an irony in itself that makes the concept of La La Land all the more intriguing. It is for sure a crowd pleaser (it won the People’s Choice Award at the Toronto International Film Festival), and is certainly gaining a strong Oscar momentum (Emma Stone won the Best Actress award at the Berlin International Film Festival). As for the music? Well, let’s just say this film comes from the mind of Damien Chazelle, the director of last year’s rigorous jazz flick Whiplash. Enough said. 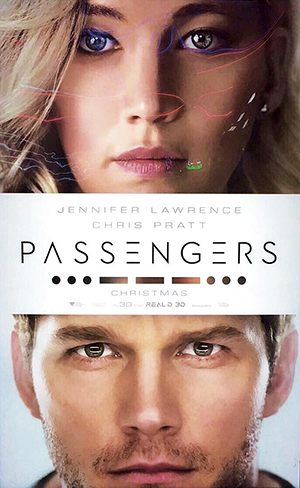 Passengers Jim (Chris Pratt) and Aurora (Jennifer Lawrence) are two passengers on a spaceship on their way to a new home planet. They are supposed to be sleeping in suspended animation for hundreds of years, but when the ship malfunctions, they are awakened 90 years too early. At first they continue to live with the luxury that the ship has to offer, but soon they realize that the ship is in great danger, and it’s up to them to save it, along with 5,000 sleeping passengers on board. Festive Factor: Two lovestruck souls on a huge, state-of-the-art ship. An impending disaster. Starring two of the industry’s top money-making stars. Expected to hit the box office jackpot. Could it be the new generation’s Titanic? It even almost seems that the film itself is aware of this fact. Call me crazy, but in the trailer, one of Jennifer Lawrence’s line says, “You die, I die,” which almost sounds like a mocking variation of the classic catchphrase from the 1997 blockbuster juggernaut, “You jump, I jump.” But worry not, Titanic haters, this film is directed by Morten Tyldum, who has delivered us the classy The Imitation Game, and let’s hope this one doesn’t come with an irritating theme song we can’t seem to get out of our heads. Sing Buster Moon (Matthew McConaughey), a koala running a once-great theater, is looking for a way to restore his theater to its days of glory, by holding the world’s greatest singing competition. 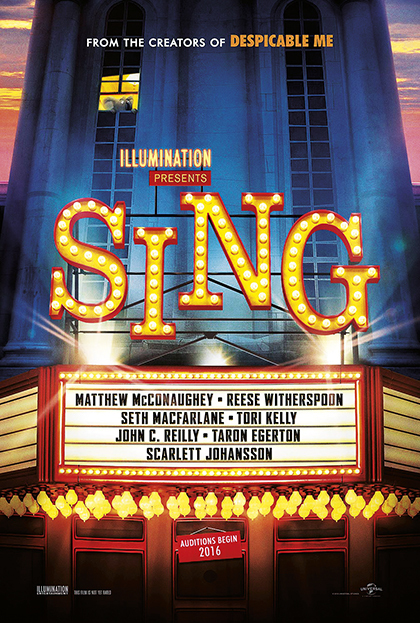 The contest attracts all sorts of everyday Joes in the hopes of becoming the next superstar, including a housewife pig (Reese Witherspoon), a mouse (Seth McFarlane), a punk-rock porcupine (Scarlett Johansson), and a robber gorilla (Taron Egerton). Festive Factor: The animation studio Illumination (Despicable Me, Minions, The Secret Life of Pets) might seem to be riding on Disney’s earlier success this year with Zootopia, by creating a similar universe of diverse animals for its latest outing, although it’s hard to think they’d be able to top Zootopia’s richness in story and characters with this one. Despite the lack of originality, let’s give them the benefits of the doubt, because Sing still seems like a fun ride for the whole family, especially in this season to be jolly, as it celebrates the love of music in every one of us. Think of it as Glee with tails. 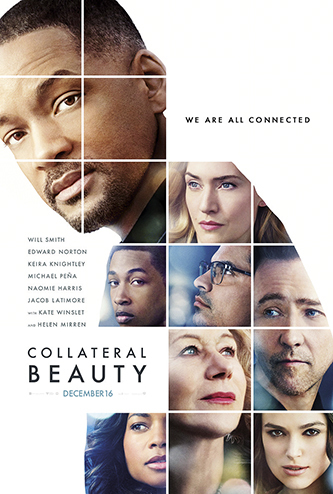 Collateral Beauty Howard (Will Smith), a successful New York advertising executive, is coping with grief after a personal tragedy and retreating from life completely. He questions life and the universe by writing to Love, Time and Death. His colleagues then devise a plan to force Howard to face his grief, by getting him unexpected answers to his letters. Festive Factor: The cast has got to be what dreams are made of. This is like Love Actually all over again; the kind of Christmas movie that already got our attention just by looking at the cast list (and, it even also has Keira Knightley in it!). Adding to Smith and Knightley, we also have Kate Winslet, Edward Norton, Helen Mirren, Michael Peña, and Naomie Harris. The film is directed by David Frankel, who brought us the delightful The Devil Wears Prada. With them on board, this promises to be a Christmas movie that will add just the right amount of warmth and sentimentality to our festive season. 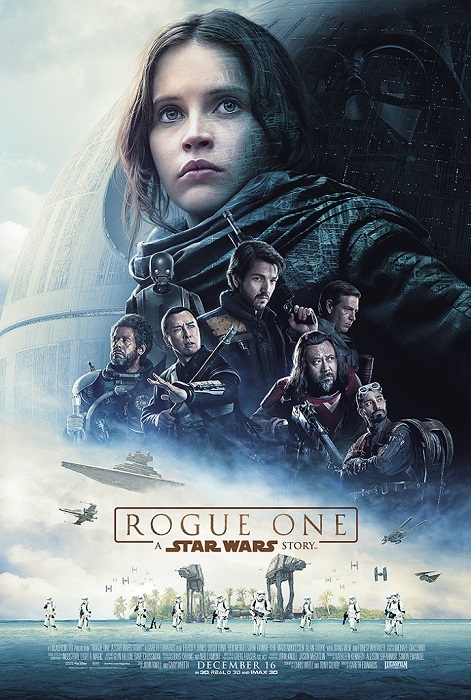 Rogue One: A Star Wars Story In a story that serves as an important event in the Star Wars timeline, a group of unlikely heroes – Jyn Erso (Felicity Jones), with help from the Rebels, a master swordsman and other allies – join forces to steal the plans to the Death Star, which is the Empire’s ultimate weapon of destruction, and in doing so, realize that their destiny is so much bigger than themselves. Festive Factor: This highly anticipated installment comes exactly a year after the victorious Star Wars: The Force Awakens. The cast list features different faces, but is every bit as delectable as last year’s film: Felicity Jones, Mads Mikkelsen, Riz Ahmed, Diego Luna – and, if last year all Indonesians were feverishly waiting to see the appearances of our very own Joe Taslim, Iko Uwais and Yayan Ruhian, this year all Asian cinema enthusiasts are eagerly anticipating what Hong Kong superstar Donnie Yen will do with his seemingly prominent role in this movie. The director is Gareth Edwards, who brought us the plausible 2014 Godzilla and the surprisingly heartfelt 2010 science-fiction Monsters. With this pedigree – and an all-out marketing budget, of course – Rogue One is poised to carry on the victory torch of the new Star Wars resurrection.